711 Walnut St. | Sparkle On! This is a little wall hanging I made for my mother of the house I grew up in with her and my sister. My mother is an artist; she paints, draws and is also the person who taught me how to sew. My inspiration for this gift to her came from a watercolor/pen&ink painting she gave to me of the outside view of my apartment. Most of my time spent on this piece was the drawing and layout of the house and Sweetie. It was harder than I thought to make a little scene that has some depth and proportion. I used raw edge applique with some quilting around the house and trees. I decided not to quilt the white background to keep with the more primitive look. Well, I have given the gift to my mother and it now hangs within the house on Walnut Street! 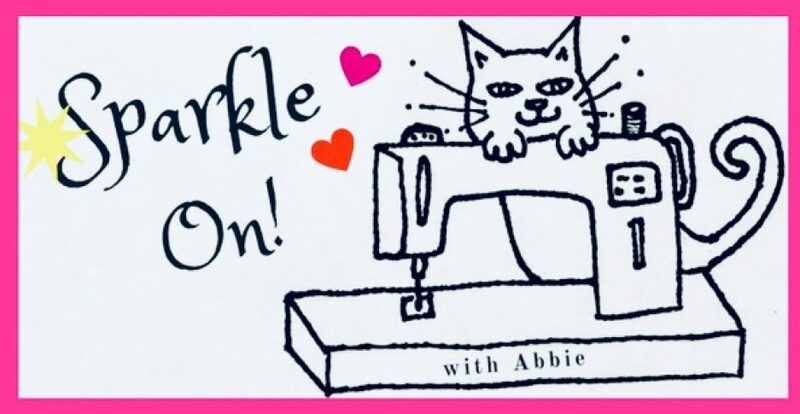 Thank you for stopping by and sparkle on! < Previous ¼” Seam or Bust! So nice of you to say :) Thank you! Your gift is so sweet. Sweetie sounds like a hoot. I’ll have to share about my kitties past and present some time. This is completely adorable! So much personality radiates from that kitty! I just love this quilt and the story behind it! I am glad to hear this, thank you!